A modern classic: the Chelsea Shearling Convertible Shoulder Bag. 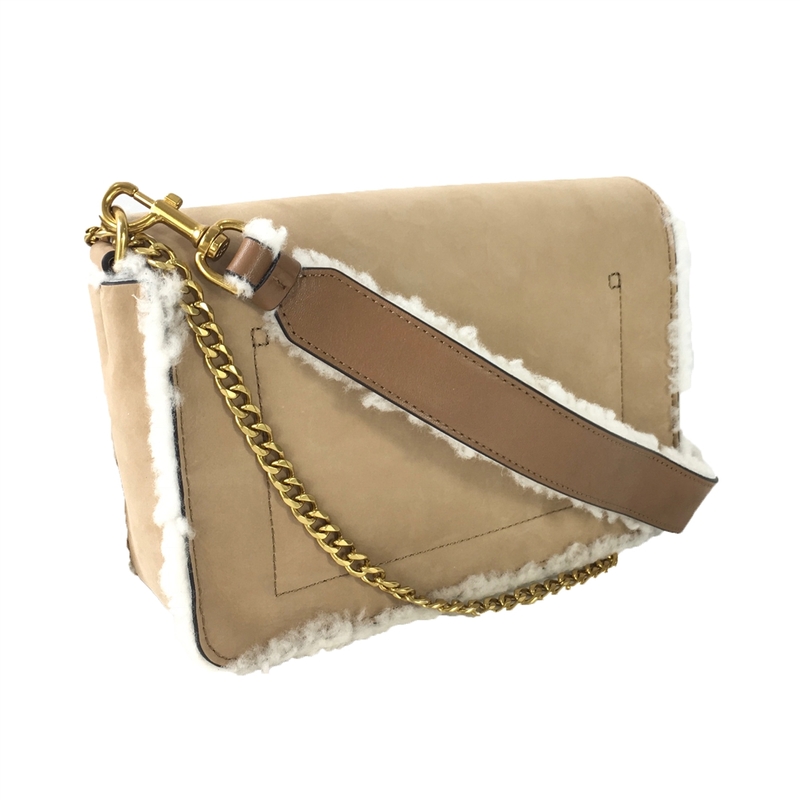 Featured in suede and natural shearling trim with multiple carrying options: a chain that can be worn short or long and cross-body and a leather strap. It's the perfect refined finish to day or evening looks. 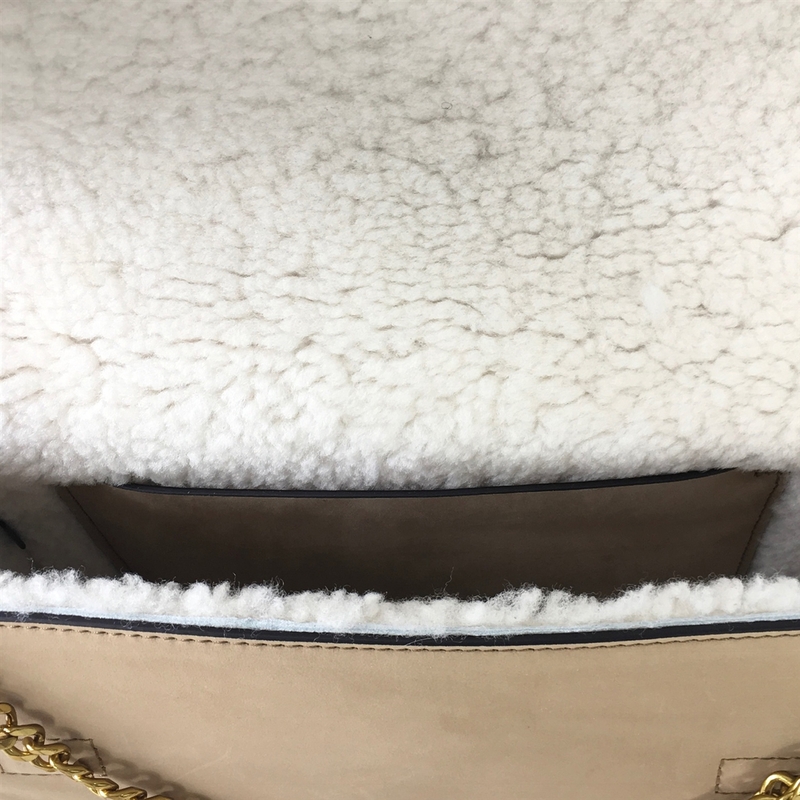 Convertible shoulder bag in suede and natural shearling trim. Front logo medallion. Antiqued brass hardware. Magnetic closure. Shearlign lined. Interior slip pocket. Height: 6.37" Length: 9.56" Depth: 2.99"